Your brilliant business deserves a brilliant website. A website that attracts the right people, showcases your expertise, drives sales, and gets results. But brilliant websites aren’t easy to come by. You’ve either got to give up all your free time (and sanity!) to cobble together something based on YouTube tutorials—and maybe, just maybe— create something not entirely cringe-worthy. Or you’ve got to be willing to pay some mega bucks to a design agency and keep your fingers crossed that they understand your business and the vision you have for it. No! These are not your only two options. My boutique design services are centered around one goal—helping my clients get results and grow their businesses. Sound good? Check out my design packages below and let me know if you have any questions. This package is perfect if you’re just getting started with your business or you need a simple but powerful site up and running quickly. Your website will be built using one of my pre-made designs. These pre-made templates have been designed to boost sales and provide a fantastic user experience for your website visitors. You choose the layout you like, and I’ll set everything up with your content and branding. Trust me, once all your juicy content is in there, your site will look gorgeous. If you’re not sure which design would be best for your business, no worries. I’d be more than happy to chat with you and help you make a decision. View the pre-designed templates. I’ll also set up your business email address, install an SSL certificate, and add a cookie consent popup (if required). *Please note that the actual project may vary. It may be longer if you book any add-ons or if there is a delay in providing me with the content and information I need (e.g. wording, font and color choices, photographs). I will always keep you informed of project progress and expected completion dates for each part of the project. 1: Inquiry call: We’ll hop on the phone or Skype to chat about your business and see if we’re a good fit. We can also discuss which pre-designed template would work best for your business. 2. Book your spot: If all is good, it’s time to book your spot and choose your pre-designed website. When you give the green light I’ll email you my invoice and contract. Once you’ve booked and signed the contract, I’ll send you a welcome pack as well as your website planning questionnaire so that you can start outlining your site content. In the meantime, I’ll set up your hosting, business email and SSL certificate (you need to have purchased a domain name and hosting before I can do this). 3. Homework: You’ll complete your website planning questionnaire and prepare all of your content. 4. Build: Once you’ve sent me your content, I’ll start building your site based on your chosen template. I’ll add your content and make sure everything matches your brand. I’ll also integrate your social media and add Google Analytics to your site. 5. Testing and Backup: I’ll make sure everything is fully integrated and functioning correctly, and then I’ll create a backup of your entire website. 6. Delivery: Once your website is ready, I’ll send you a video tutorial and PDF guide to show you how to use your new online home. 7. Launch your site and celebrate! If you’re looking for a fully customized website that’s designed specifically to attract your ideal customers and meet your business goals, this is the package for you! Every business has it’s own distinct personality, mission and goals. My job is to translate all of that into your website’s design and strategy. I will work closely with you to understand as much as I can about the vision you have for your business so that I can design a unique website that will help you bring your vision to life and get you the results you want. I’ll keep you informed every step of the way and I’ll share my best tips on how you can hit the ground running when your site launches. Email marketing integration to help you grow your subscriber list and keep in touch with your customers and fans. 1 hour training call to walk you through your site and how to use it. 2 weeks of email support to help you out as you get used to running your site. Copywriting help to make sure the content on your website has the right tone and conveys your message in the most effective way for your ideal customers. 1: Inquiry call: We’ll hop on the phone or Skype to chat about your business and see if we’re a good fit. After the call, I’ll email you a summary of our discussion and my suggestions on how your website could bring your business vision to life and help you reach your goals. 2. Book your spot: If all is good, it’s time to book your spot. When you give the green light I’ll email you my invoice (50% deposit) and contract. Once you’ve booked and signed the contract, I’ll send you a welcome pack as well as your website planning workbook and copywriting guide so that you can start outlining your site content. In the meantime, I’ll configure your hosting, business email and SSL certificate (you will need to have purchased a domain name and hosting before I can begin this). 3. Homework: You’ll complete your website planning workbook (and mood board if applicable) and prepare all of your content. 4. Planning & Strategizing: I’ll go through your workbook and send you my suggestions regarding the wording of your site. Then we’ll schedule a call to discuss and agree on the best strategy for your website. 5. 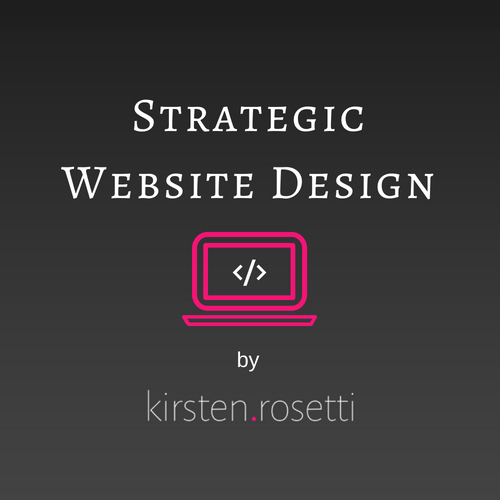 Design: Once we’re clear on the strategy for your site, I’ll start designing your site. I’ll add your website copy to the designs and then send you my design mockups for approval. I’ll make up to 2 rounds of revisions to make sure you’re happy with the design and content. 6. Build: Once the design mockups are approved, I’ll invoice you for the final 50% and begin building everything onto your site. Then, I’ll add Google Analytics to your site and integrate your social media and email marketing. 7. Testing: Once I’m done building your site, I will test everything to make certain that all elements of your design, including pages, images, forms etc, are fully optimized and working properly. 8. Back up: I’ll create a backup of your entire website. 9. Delivery: Once your website is ready, we’ll schedule a video call so that I can give you a tour of your new online home and show you how to upload media, create blog posts, and more. You’ll also receive a PDF guide and video tutorial. 10. Launch your site and celebrate! Are you currently accepting new design clients? Yes! Please reach out to me through the contact form below or by clicking one of the “Book an Inquiry Call” buttons. I’m excited to hear from you! Is there anything I need before I book one of your design packages? You need to have formulated a clear plan and goals for your business. You also need to have branding. This could be as simple as a logo, fonts and color palette, but if you have a brand mood board or brand style guide, even better. Can you create a logo and design my branding? I currently don’t offer full branding or graphic design services; however, I’ll be adding pre-designed logos and brand boards to the shop soon. I would also be happy to refer you to a branding specialist or direct you to resources that will help you if you’re looking for a DIY option. I have no idea where to start! Can you help me? Absolutely! On the techy side of things, I can walk you through domain name registration and help you set up hosting. If you’re not yet 100% clear on your business mission and offerings, I’d be happy to provide some great resources. Will I be able to edit and upload content to my website? Absolutely. Once your site is completed, you will have full ownership and control of your site. I’ll show you how to make changes and upload different types of content. Do you offer a la carte options? Yes. If there is something specific you’d like that isn’t included in your preferred package, let me know. Do I really have to complete a questionnaire/workbook? Yes. This step is crucial as it will help me understand the mission and goals of your business, so that I can begin formulating an effective strategy for your website and creating a design that will suit your business needs. Do you offer maintenance or retainer services? I sure do! Please check out my Website Care and Support page. Kirsten built, designed and wrote the copy for my website and it looks spectacular! It is fully SEO optimised and mobile responsive. As my business grows, I have continued to use Kirsten’s services to update my website. She is such a pleasure to work with and she just gets it. I can’t recommend her enough! © 2019 Kirsten Rosetti. All rights Reserved. Site built and designed by Me. Grab your free biz resources! Have you joined the free biz coaching Powwow?